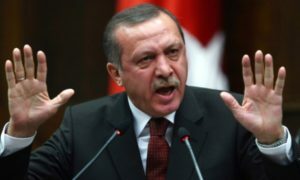 WASHINGTON — Tayyip Erdogan, the longtime prime minister of Turkey, was upset that there is an ongoing corruption probe into his allies. Reuters reported that Erdogan called the probe a “dirty operation”. Fifty-two people were detained in the widespread probe, which included sons of three ministers, local government officials and prominent businessmen that were close to Erdogan. It was the biggest corruption probe since Erdogan took power in 2002. Several dozen top police officers, with some in charge of dealing with financial crime, were removed from their positions after they were detained. Erdogan blamed a U.S.-based Turkish cleric Fethullah Gulen for trying to create a “state within a state” and creating dissension within Turkey.